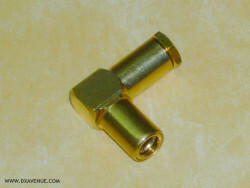 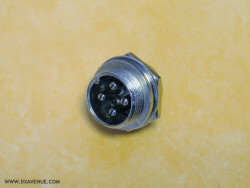 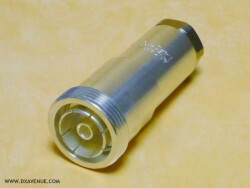 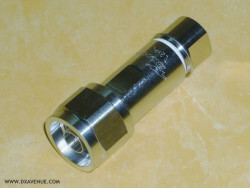 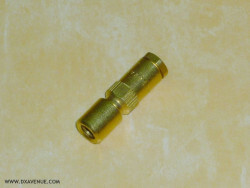 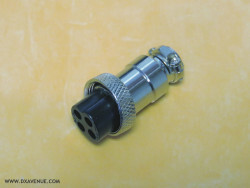 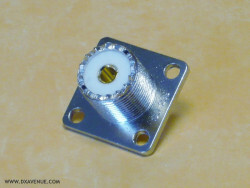 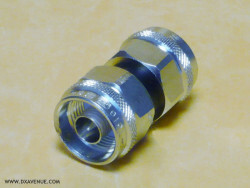 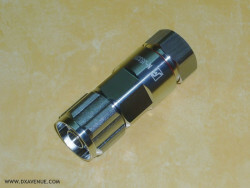 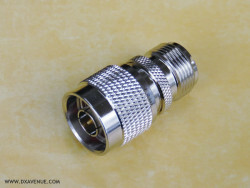 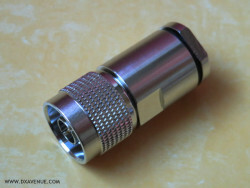 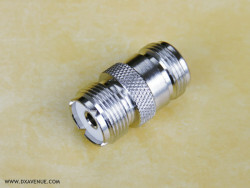 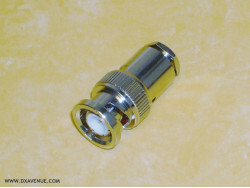 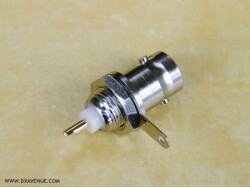 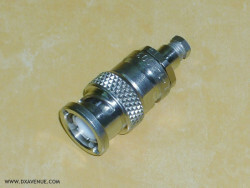 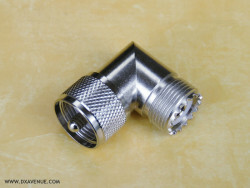 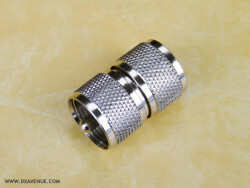 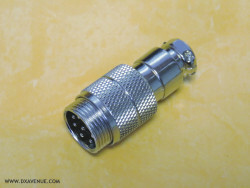 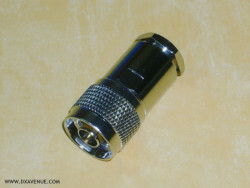 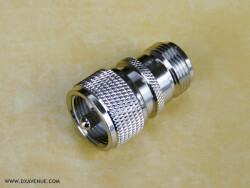 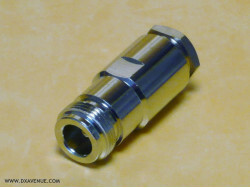 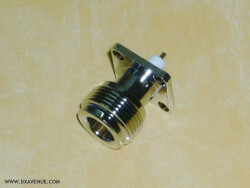 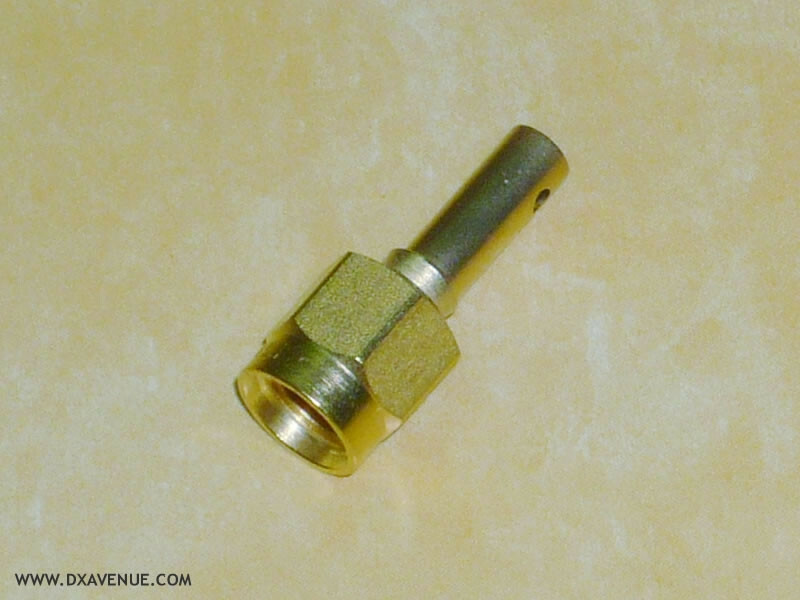 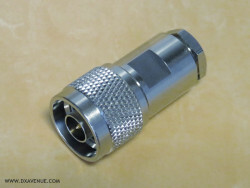 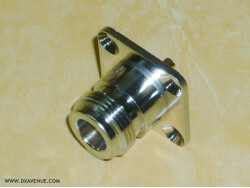 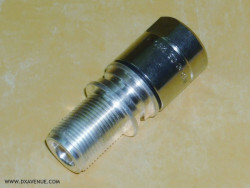 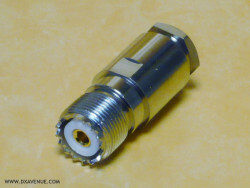 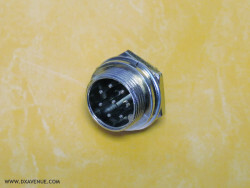 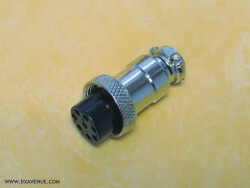 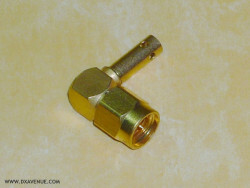 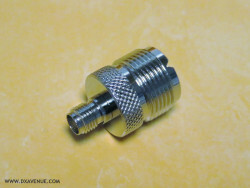 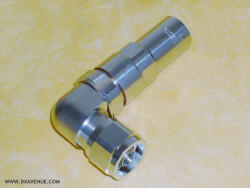 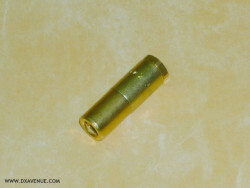 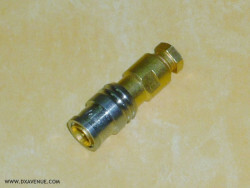 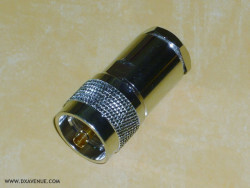 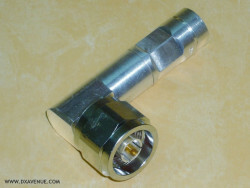 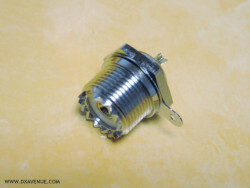 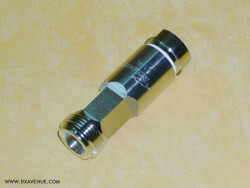 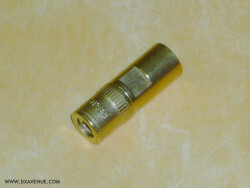 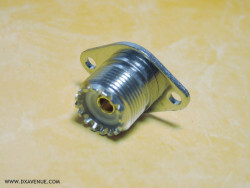 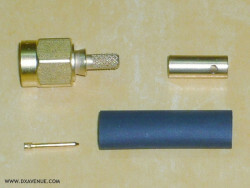 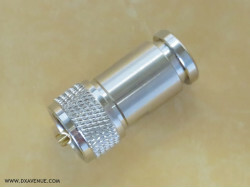 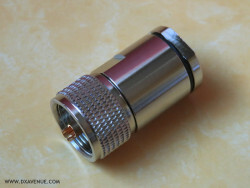 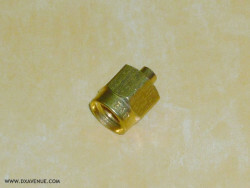 50Ω gold plated professional connector (DC to 12.4 GHz).﻿﻿ Made in France. 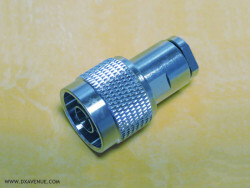 SMB gold plated Straight Plug connector Radiall R114.005 for small coaxial cable Ø 2.6mm. 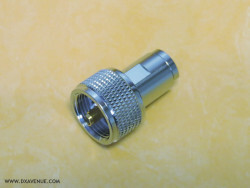 SMB gold plated Lock Plug connector Radiall R117.003 for small coaxial cable Ø 2.6mm. 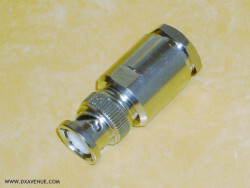 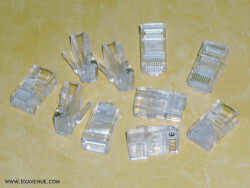 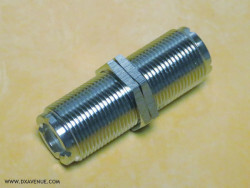 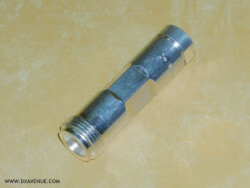 PL259 (UHF) Male-Female right angled Adapter﻿. 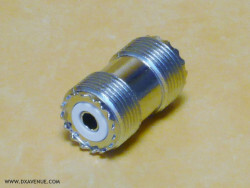 50Ω.